Happy Holidays From The ARBICO Family! We would like to say a HUGE thank you to our customers, vendors, industry partners and distributors! Without you, this journey would not be as fruitful or rewarding. You provide us with insights, laughter, fascinating conversations, teaching moments and so many other experiences every year. 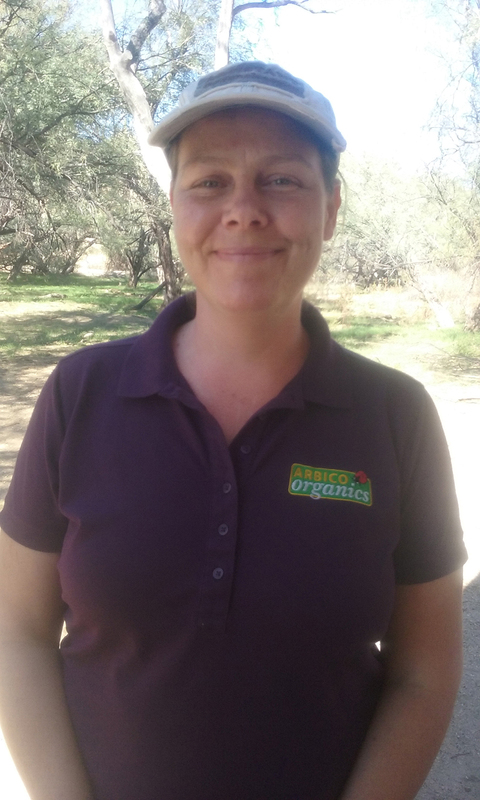 We love learning with you and the satisfaction that comes with helping spread organic practices together. In this shared ride, we are grateful for everyone that has joined us and hope to continue down a path of growth and connection in the coming year. 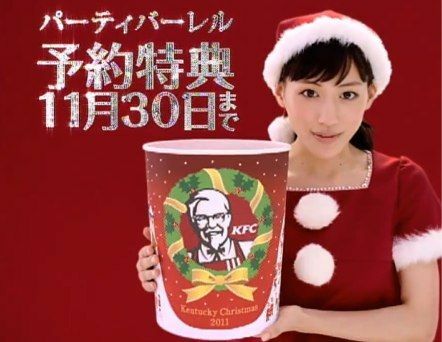 Let’s begin with Japan: The Japanese have embraced the quirky way of doing things and their Christmas celebrations are no different. 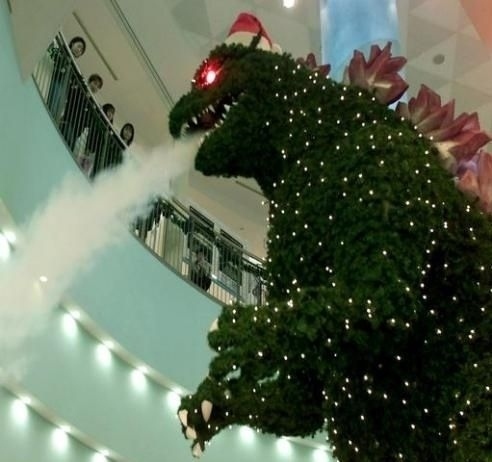 I think it’s safe to say you won’t find a Godzilla Christmas tree anywhere else. 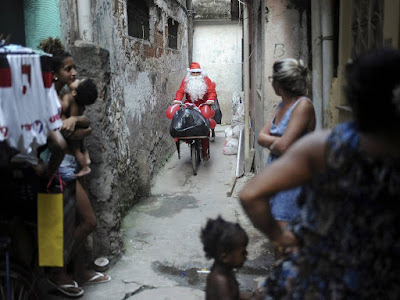 Christmas is a bit like Valentine’s Day in this non-Christian country; presents are given between lovers and going out for romantic dinners is the thing to do. The “it” place to dine -Kentucky Fried Chicken (it’s a long story, but suffice to say a 70’s marketing scheme worked better than anyone could have imagined – more on that here). populations of underpaid and underrepresented workers, so this money must be tremendously appreciated at Christmastime. In Rio de Janeiro, Santa braves the favelas each year to make sure no child there is missed. In Sweden, Yule goats (small goats made from straw) are a traditional decoration. Back in 1966, the town of Gävle decided to create something spectacular to draw people to their downtown. So they built a straw goat that is over 42 feet tall and 26 feet long. 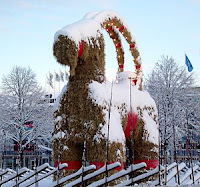 The original Gävle Goat was burned down on New Year’s Eve of that year, but was re-built the next year. Every year since, someone has tried to burn the poor thing down. In 52 years, the goat has been burned down 36 times, a clear win for the burners. These days, the goat can be monitored by webcam, but that didn’t prevent it from being torched in 2016, it just made for a nice clear video of it burning. Let’s see who wins this year. 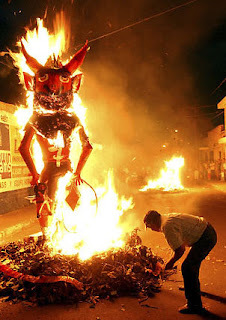 Guatemala has its own burning tradition in December, La Quema del Diablo (The Burning of the Devil). On December 7, people gather to burn effigies of the Devil and party around the bonfires. It is an old tradition that is found in other Latin American countries and is seen as a way to clean out the bad/evil from the previous year in anticipation of starting out fresh in the New Year. Further south in Venezuela (Caracas, to be exact), they have developed an interesting way to get to church on Christmas – they roller-skate. The origins of this custom may be somewhat murky, but nowadays it is firmly a part of Christmas in Caracas. The government even closes streets down early Christmas morning so large groups of people can skate safely to mass. This light-heartedness extends to the rest of their day as people gather in the streets to eat, dance and party in general. Finland has a Christmas custom that is very similar to El Dia de los Muertos in Latin America. 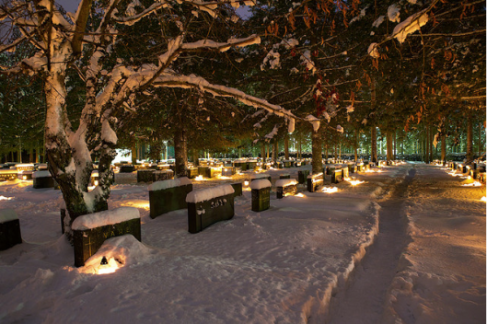 There is a traditional belief that departed family members return to visit after dark on Christmas Eve, so Finns go to the cemetery and place lights on the grave to light their journey. Crowds can be huge in the larger cemeteries, to the point where police are assigned to keep traffic and visitors in line. The lights and snow combine to make hauntingly beautiful images. And now for something less reverent: people in Catalonia may not have the same Nativity scene most people are familiar with. 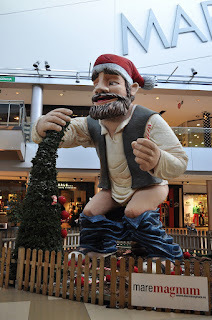 In this part of Spain they have something a little extra tucked away in a corner–El Caganer (The Crapper). There you will see a figure relieving himself. Although this is another custom with unclear roots, it is commonly seen to be a symbol of good luck. In the past El Caganer figures were male and dressed in traditional Catalan clothing, but these little figures have been swallowed up into the pop culture universe and are available as politicians, celebrities and many other things. See here for more statues pooping than you could have ever dreamed existed. 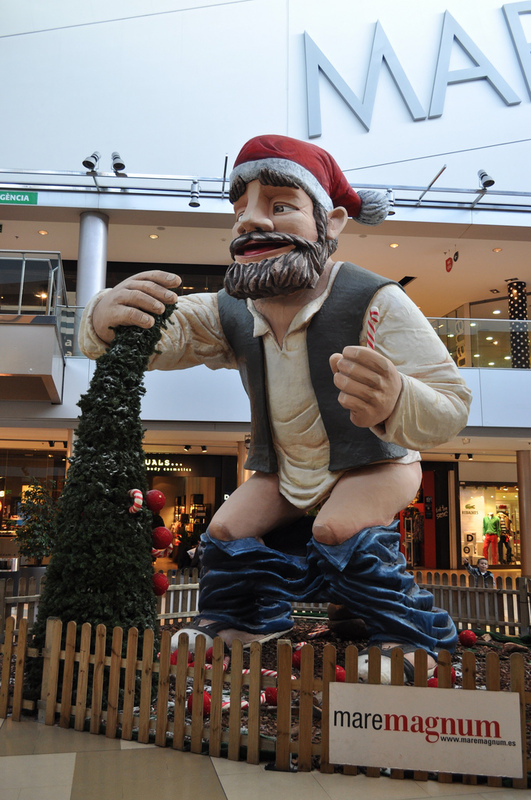 Apparently small El Caganer figures are not enough, in 2010 a mall in Barcelona sported a 19 foot tall figure. Hopefully it was far away from the food court. People in New Zealand don’t have any customs quite as extraordinary as a scatological statue, but they have a special Christmas tree, the Pōhutukawa (Metrosideros excels). 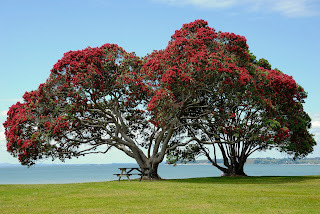 Known as the New Zealand Christmas tree, this large and beautiful tree blooms with vivid red flowers in December and January (summer in that part of the world). It is a staple in Kiwi Christmas cards and decorations and has deep meaning to the native Maori. Sitting under one of these on a warm Christmas Day does sound inviting. On another note, it seems that Santa Claus may not get milk and cookies from Kiwi kids, beer and pineapple chunks are often on the menu instead. I’ll bet he goes there last. So, pick your favorite custom and let’s go abroad for Christmas! 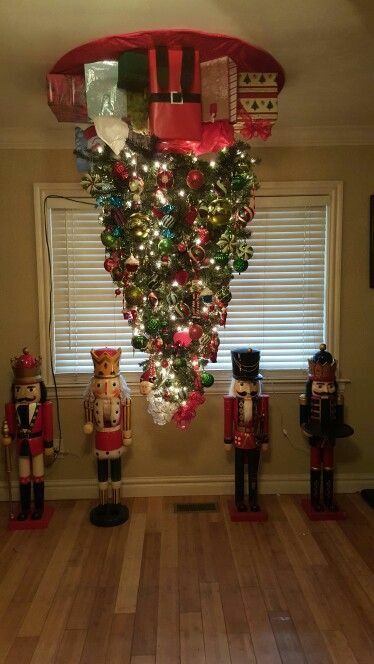 upside-down tree. This trend has reared its controversial head in our country in recent years, but it has been around for a while in Europe. It dates back to sometime in the Middle Ages, although exact dates are up for debate. At that time, its shape was seen as a way to represent Christ’s cross or the Holy Trinity. 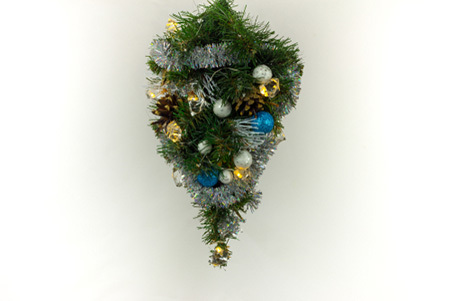 Interestingly enough, many people today believe that the pointy end of the tree points to Heaven, thus making this the proper placement for religious significance. The upside-down display became popular in retail settings in the 19th century. 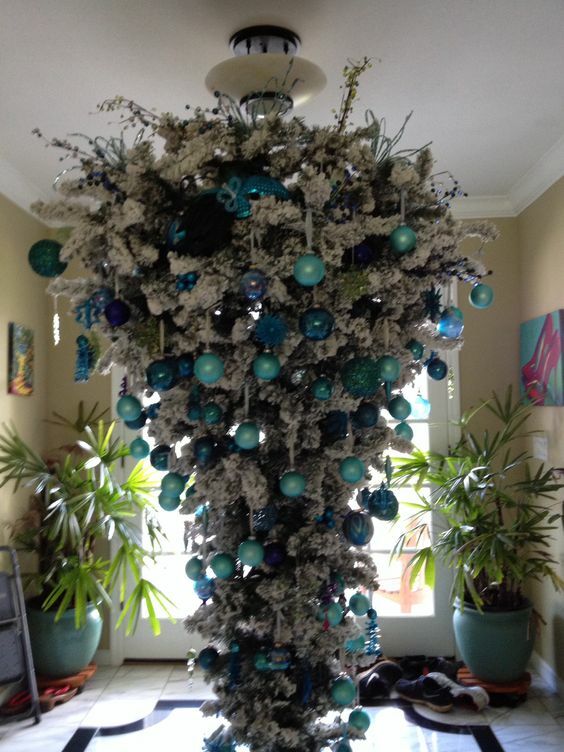 It was seen as a great way to present ornaments at eye level and to free up floor space. 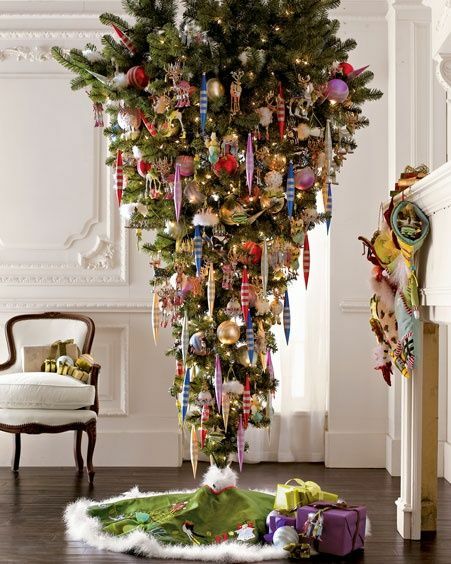 Upside down trees are especially popular in hotels and retail spaces today for these same reasons. Besides commercial properties, who is this for? 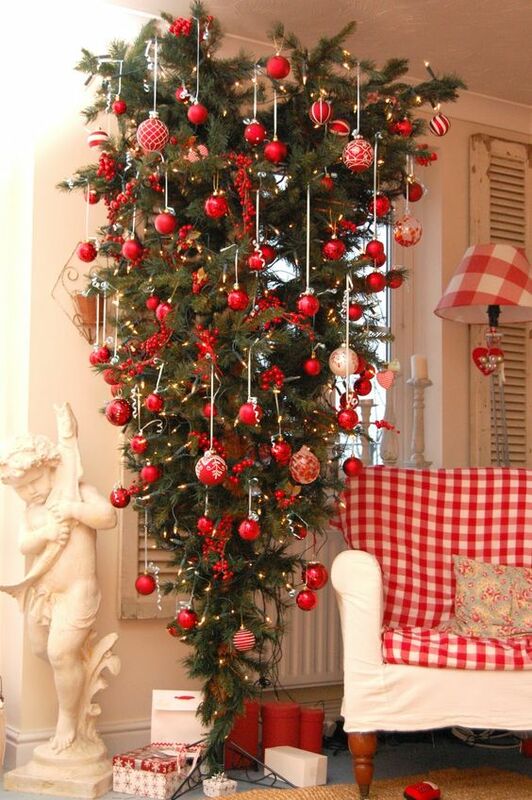 - Hang a small artificial tree over a table for a centerpiece that leaves plenty of room for the food on the table. - Cut a small tree in half, hang the pointy end and create a Christmas chandelier. Use the remaining branches as garland around the room. 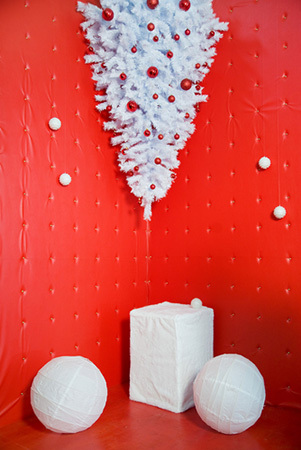 - Cut the very tip off a tree (or fashion one with wire and branches ) and hang it on a wall. - Create an abstract tree from whatever strikes your fancy. weight. 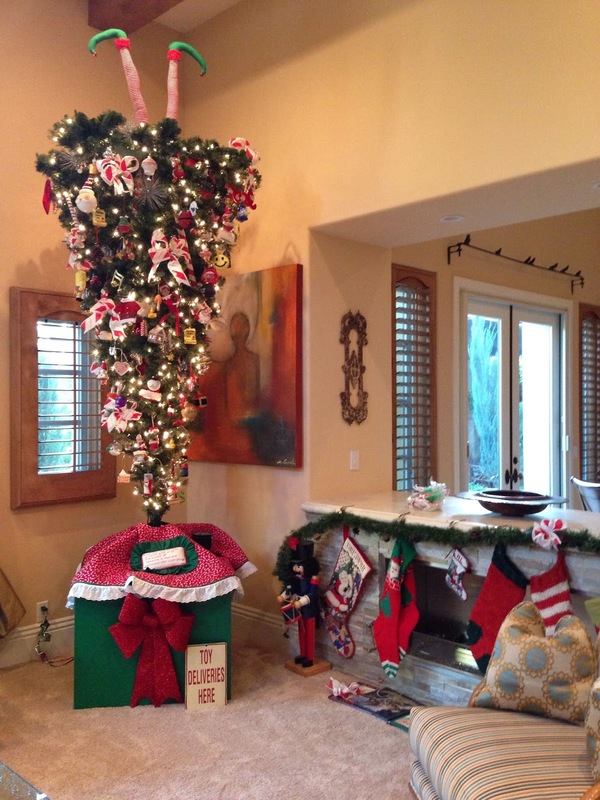 There is speculation that the reason the upside-down tree fell out of favor in the past is that plastered ceilings replaced rafters in most homes. 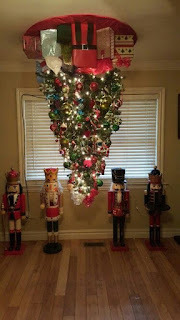 Unless you are working with an upside-down tree that sits on the floor, when decorating your tree the weight of your decorations should be carefully considered. 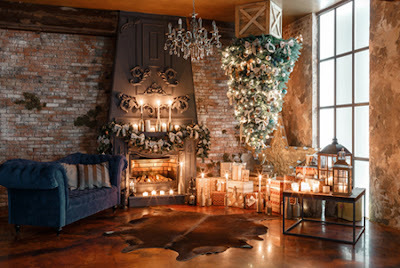 Think ribbons, twinkly fairy lights, lightweight plastic and lots of tinsel. 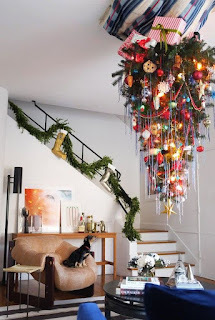 Go big, go small, hang them from the ceiling, hang them on a wall – you are only limited by your creativity when it comes to upside-down Christmas trees. 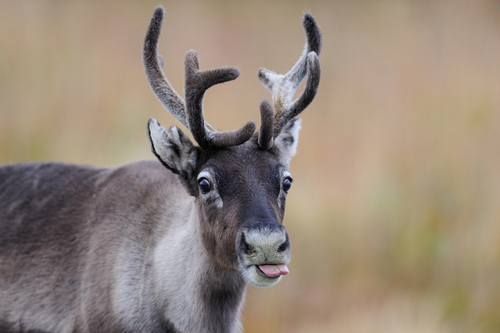 Santa and his reindeer have, over the years, become the ubiquitous symbol of western Christmas celebration. Despite the overarching religious narrative around Santa Claus and St. Nicholas, there are some that have called the true origin of a sleigh-driving man led by flying reindeer into question. Anthropologists and mycologists have traced a historical link back to mind-altering fungi. This new origin theory suggests that the figure of Santa arose from the practices of shamans native to Siberian and Arctic areas. 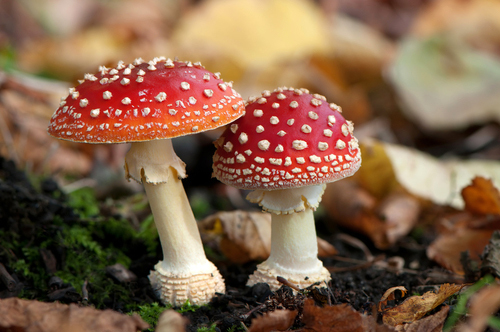 They would arrive in settlements around the Winter Solstice with a bag stocked full of “presents.” These presents came in the form of Amanita muscaria – a hallucinogenic mushroom more commonly known as the fly agaric or “holy mushroom.” The native people often lived in teepee-esque houses with a single opening to the ground. Since snow often blocked that entrance, the shamans would drop their tidings through an opening in the roof, hence the story of Santa coming through the chimney. That is not the only link these entheogens (substances that induce a spiritual experience) have to our modern festivities. Have you ever wondered why placing presents under a tree came to be the norm or why pine trees are the preferred “Christmas tree”? Well, fly agaric mushrooms are commonly found lurking at the base of conifer and birch trees with their bright red coloration and white spots calling attention to them. From the native’s perspective, the trees were the resting place for their gifts – an important spiritual element of their lives. 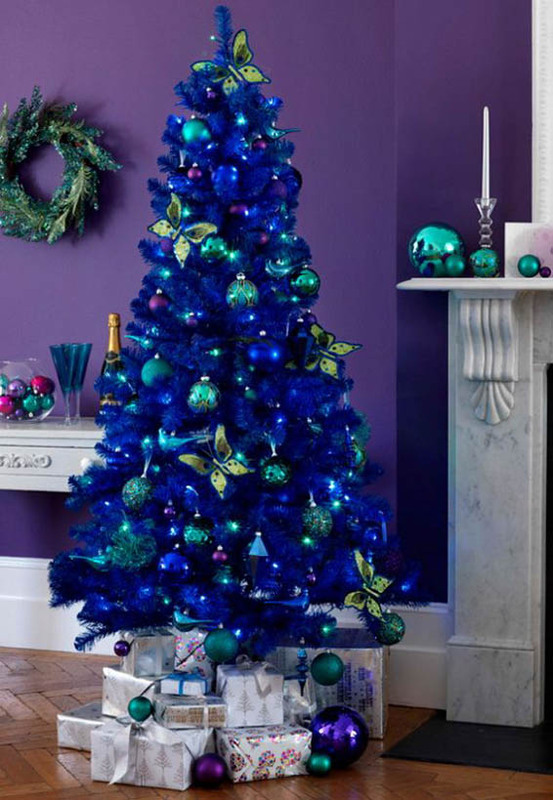 Moreover, their colors have been adopted for wrapping paper, seasonal decorations and Santa himself. But Why The Flying Reindeer??? This is where it gets a bit more involved with the “experience.” Unfortunately, reindeer cannot fly, but our minds are palaces of imagination and wonder. The symbol of a flying sleigh led by reindeer embodies the taking of a “trip” and traveling to a different plane of consciousness. The vessel was more symbolic than practical and as Carl Ruck put it, “Amongst the Siberian shamans, you have an animal spirit you can journey with in your vision quest and reindeer are common and familiar to people in Eastern Siberia.” With the Amanita muscaria induced departure from reality, the people connected elements of their environment to their psychedelic experiences. These connections helped build spiritual importance of the animals to the people who lived with them. As other groups of people intermingled in time, stories were shared and mythos was merged. As traditions and groups of people congealed, elements of the past remained. 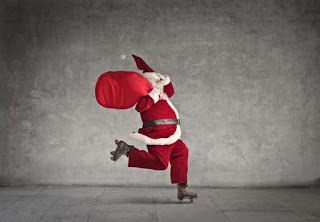 Reds and whites dominate the Christmas season, Santa still drops in through the chimney, conifers are sold as Christmas trees (even multi-colored), and airborne reindeer still dot the gift cards, decorations and movies of the season. No matter how far we come, traces of what came before can still be found. The Christmas that we know is just one example of that. 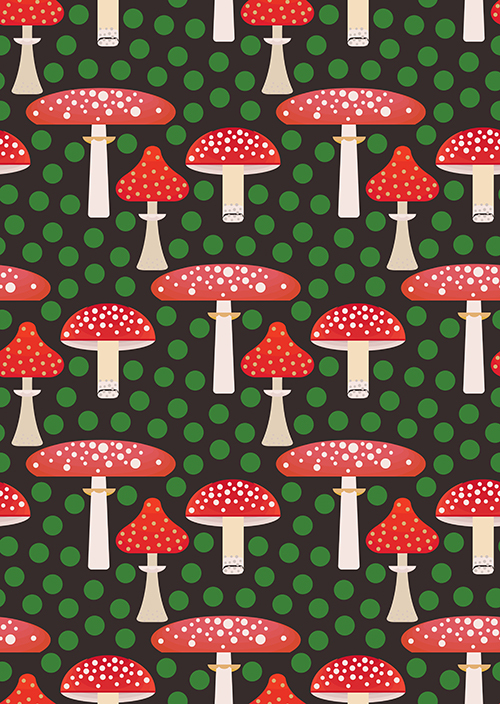 So remember…instead of cookies, pick some mushrooms and leave those for your Christmas Eve visitor this year. Colorful Christmas Trees - A New Take On An Old Tradition. Red and green are generally seen as quintessential Christmas colors (although this hasn't been the case for long) and people decorate their Christmas trees and homes accordingly.The history of the Christmas tree is long and noble,with much of the symbolism around the tree and its colors stretching from pagan times into the early days of Christianity and beyond (Here's a brief history of the Christmas tree). If you are not bound to tradition and/or symbolism and would like to change up the colors, there are many options open to an outside-of-the-box Christmas enthusiast (House Beautiful magazine has some great ideas). 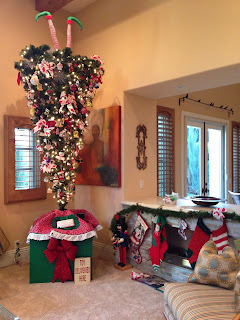 Nowadays, this is especially true when it comes to Christmas trees. 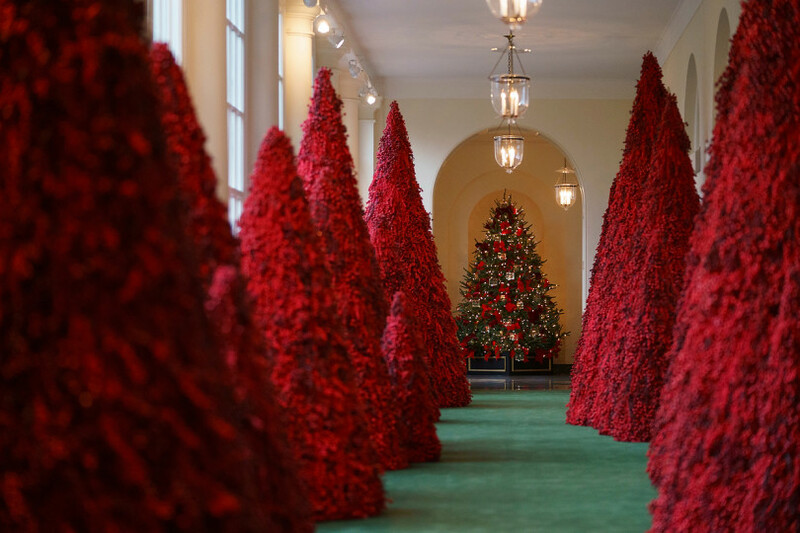 First Lady Melania Trump took the leap and added cranberry-covered red trees to the White House decorations this year. 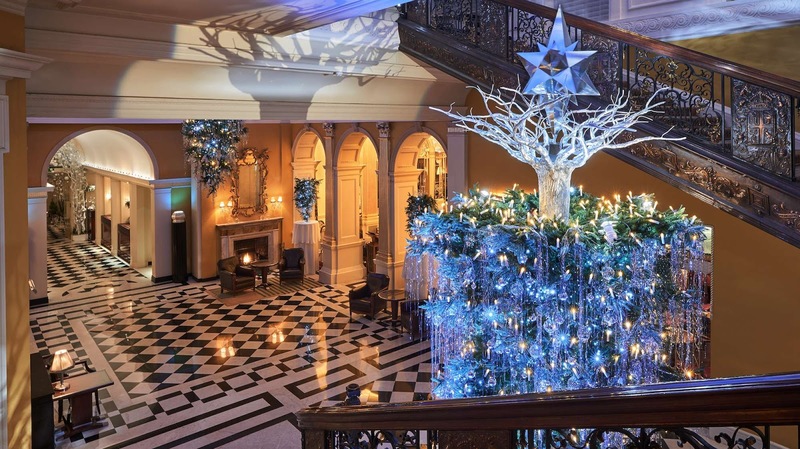 Some people are appalled by the non-traditional look, while others applaud the creativity; I will leave it to the reader to make up his or her own mind (get a short tour of the White House decorations here). 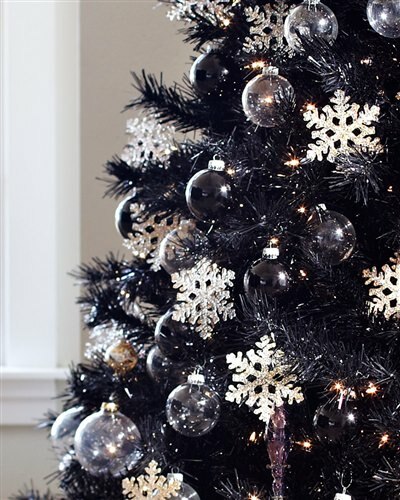 Giant cranberry trees aside, this year’s hottest trend tree-wise is black. Yes, black! 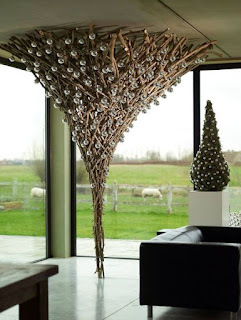 Before you dismiss the idea, imagine how cool it would look all lit up with sparkling ornaments. 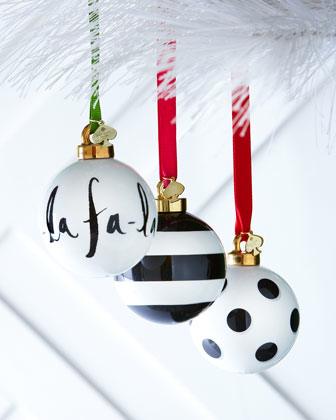 Or consider black and white - it makes a stunning Christmas combination. I would love to try this out, but my family would mutiny – nothing but the traditional for them. Here are some more beauteous ideas for black. 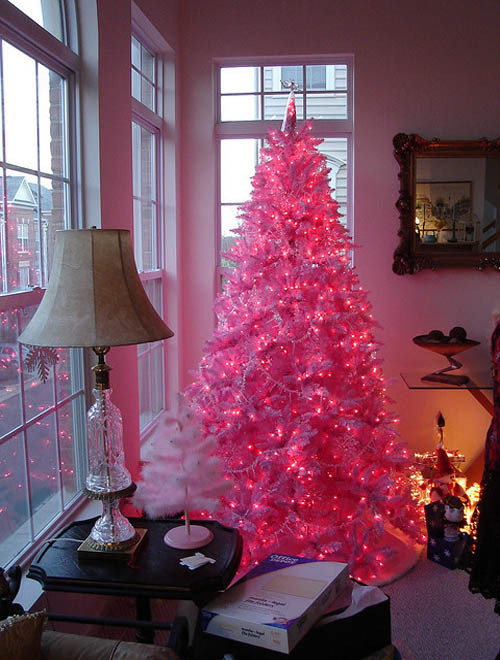 What about pink? It’s not just for little girls anymore (although perhaps a hard sell to “manly” men). 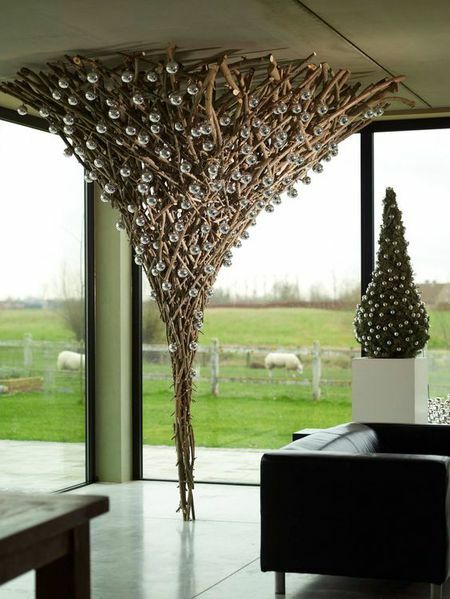 These striking trees would liven up most any home. And then there is blue. For some reason, these trees don’t seem that out-of-the-box to me. Nevertheless, I still couldn’t take one home. If you consider blue, considering purple is the logical next step. I know a couple of people who are crazy about this color. These trees would definitely fit their décor! 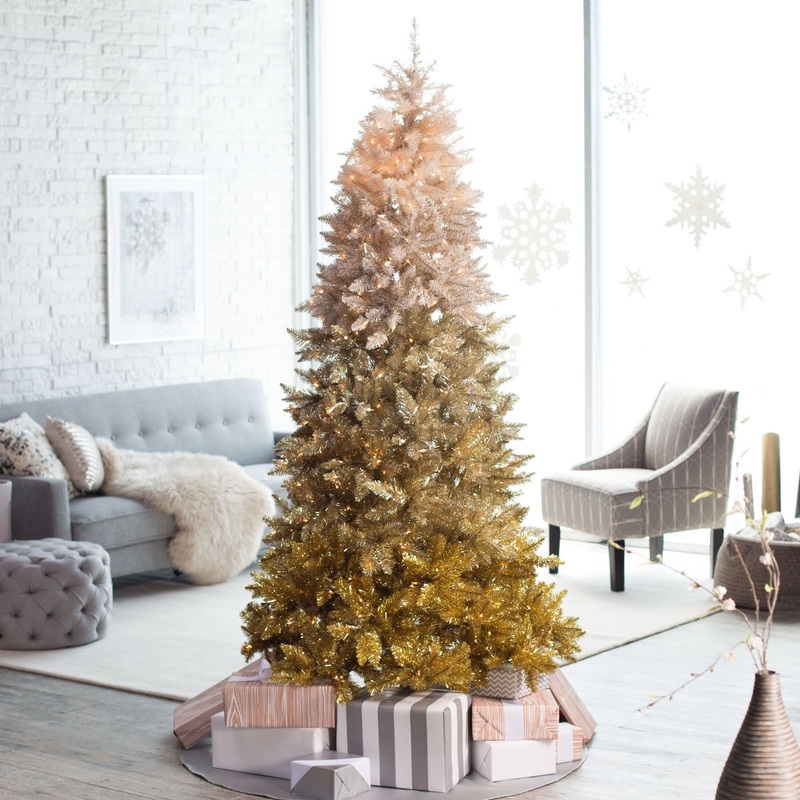 Christmas trees also come in ombre (the gradual blending of one color hue to another, with tints and shades blending from light to dark) for those who just can’t decide. Of course, there are a lot of ombre tree choices! Don’t get enough red, white and blue in July? Here’s one for you! 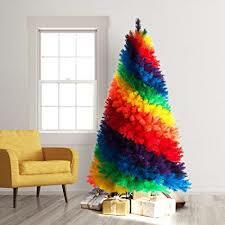 If you like all the colors, or or if you want to make a personal statement, rainbow trees may be the choice for you. If you prefer real trees to artificial, don’t despair. Many tree farms are painting trees. 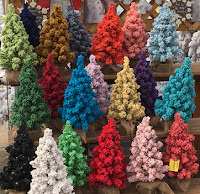 Pick a tree, pick a color, cut and go! 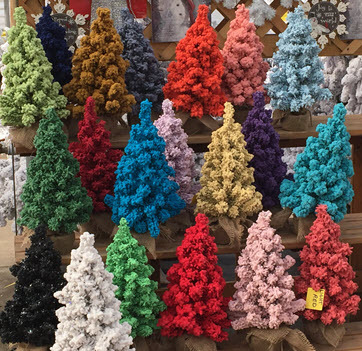 See how Wyckoff's Christmas Tree Farm in New Jersey does it here. If you are concerned about sustainability, the only way to go is a live tree. With proper care, you will be enjoying it year-round. These pointers may help with that. 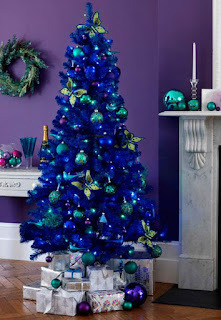 Whatever colors you choose, remember it is all about enjoying the beauty of the Christmas season. 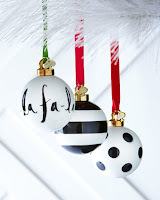 Want to opt out of the whole darn shopping thing this holiday season? I highly recommend taking that stand and would like to suggest a little less time spent shopping for someone and little more time spent with them. All of the activities below are excellent opportunities to put down your electronics and look someone you love in the eye. If, however, you would like some time to yourself away from your people, all these things can be enjoyed solo.These activities can also produce gifts so you don’t have to take another step to shop. This time of year is an exceptional time to visit your local zoo. There may be fewer animals on exhibit, but you won’t have the high-summer crowds. After all, you’d like to see the animals and not someone’s back as you stand three deep at an enclosure. 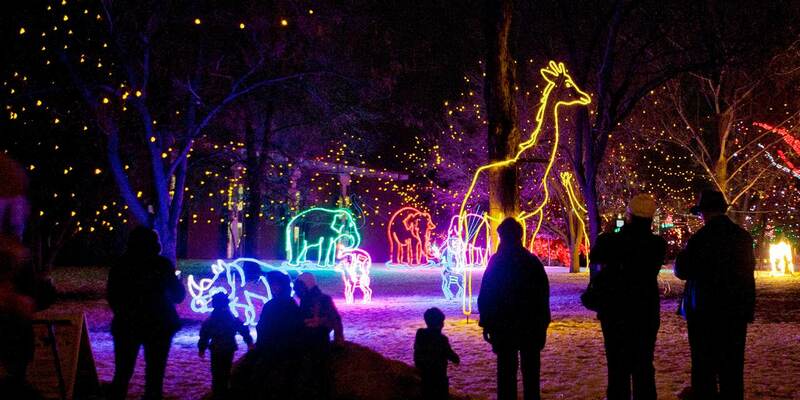 Many zoos across the country (and the world) have embraced zoo lights as a way to bring in much-needed winter revenue. Most children will be entranced by the combination of animals and lights and you can get a break from the “buy me that” commercialization of the season. 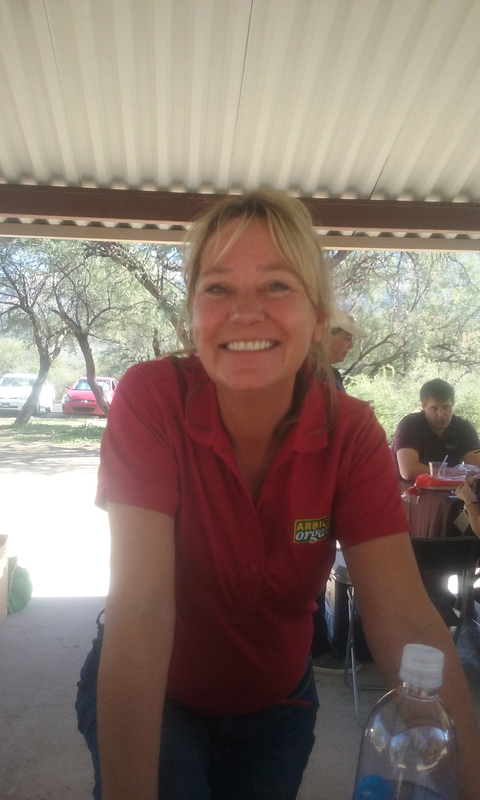 Of course, always make sure that you are patronizing a zoo that is actively working in conservation (see a list here). Gift idea: Zoo tickets or memberships and/or any number of cool items in the gift shop. Holidays are nothing if not stressful and laughter is a stellar way to reduce stress. Make some time for silliness (it’s good for the soul), support local performers and engage with others in your community. Very little brings people together like a good laugh. To find a theater near you, check out this list. Many theaters are surprisingly affordable and offer family-friendly shows; my family loves the one they do at our local improv (Unscrewed Theater). 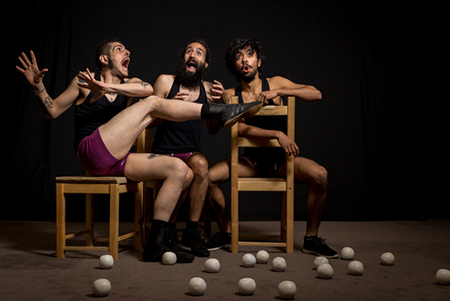 Gift idea: Take someone out for a nice evening as a gift and make the show a part of it. Or buy tickets to an upcoming show, CD’s, T-shirts or other bits of swag. Okay, you may have to do a little shopping for this one; but, it is grocery store shopping, which you have to do anyway. This is the perfect time to experiment with new foods or to fine-tune your holiday menu. 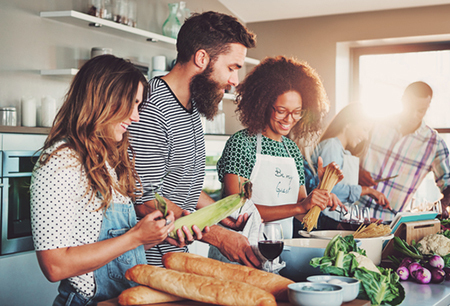 Get a bottle of wine (or warm up that blender) and a cohort or two (optional, but highly recommended) and dig into your kitchen. You can go old school, with a Betty Crocker cookbook propped up on the counter (those recipes speak to many childhood memories) or find the just-right YouTube tutorial. This is also the perfect time to clean out your refrigerator by making a soup - it will free up space for all the incoming holiday goodies.Try this recipe or make one up as you go along. 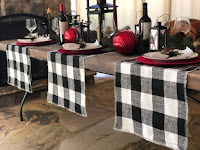 Gift idea: There are a great many easy food gifts you can make and nearly everyone responds to food. But there is also a hidden gift in this activity – the gift of an aromatic house on a crisp winter day. So cozy! 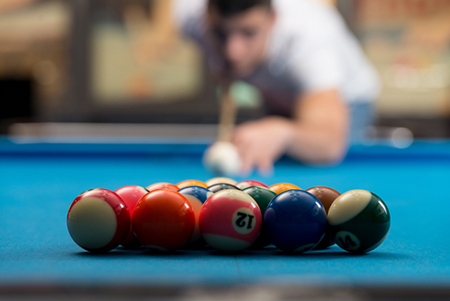 Grab some friends and find a place to play pool. Or find a place to play pool and make some new friends (just challenge a table). It’s virtually impossible to play pool without witty repartee and other fun types of human interaction. Hit up a sports bar and you will also be able catch some late-season football while you play and have a room full of like-minded sports fans to enjoy it with. Don’t like pool? The idea is to get out and play, what game you choose is up to you. Places like Dave and Buster’s and Culinary Dropout, here in Tucson, offer many game choices. There are also places where you can play more cerebral games such as chess. Learn where to find a chess game here. Just go and relax and enjoy the company of others, that’s the key to this activity. Gift idea: Gift certificates, of course. But, also use the chance to get to know your companion/s a little better and try to ferret out things they really like (such as a team preference or something they wish they had, like new darts). Some of these things you may be able to get right where you are. Weather permitting, of course, get out and just enjoy the season around you. Take a companion or two on a drive and have an old-fashioned picnic or eat at a quaint restaurant. 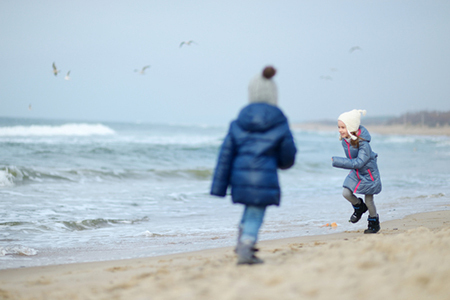 If you live near an ocean, put some layers on and walk on the beach. There is a unique beauty to the beach in winter. Can’t get that far away? Get those kids bundled into the car and drive them around the neighborhood to check out people’s decorations. 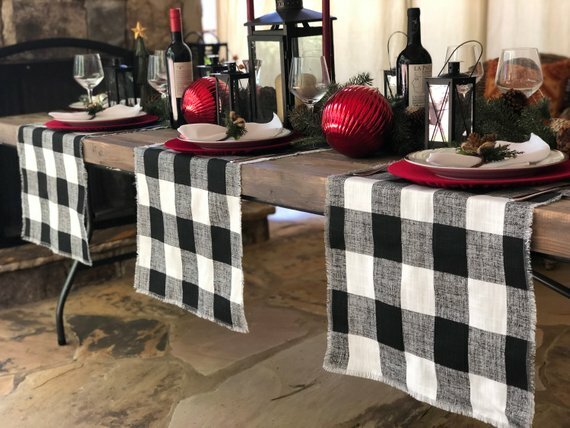 Gift idea: This activity is really just about the time spent in the season; but, keep an open mind and gift ideas could pop up anytime during your excursion. Built in a vacant coal mine deep within arctic permafrost, the Global Seed Vault contains the most diverse collection of food crops on the planet. The vast collection, amounting to a whopping 864,000 samples, houses close to 4.5 million seeds. Among the cataloged seeds are 159,000 varieties of wheat and 146,000 types of rice. These seeds have been kept for reasons varying from ensuring genetic diversity to expressing individual, commercially valuable traits. The bank itself was conceived as a fail-safe in the event of global catastrophe with an emphasis on maintaining food security in less developed countries. This focus cast a gazing eye on the future when it was built in 2008 with the Crop Trust, its operating body, calling it “the final backup.” In the case of nuclear war or the rampant population growth expected over the next 100 years, these seeds will be there for emergency use – viable and ready to plant. 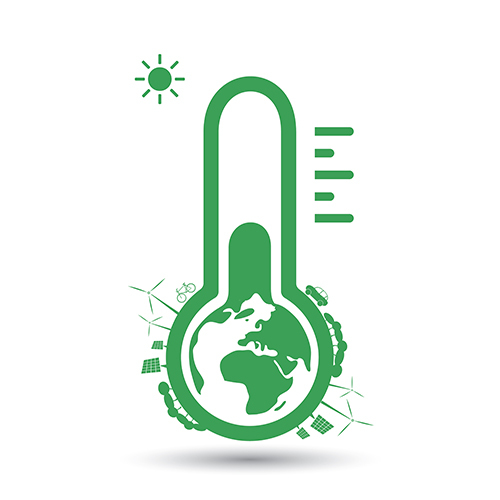 That viability was threatened in 2017 when the changing climate reared its head. 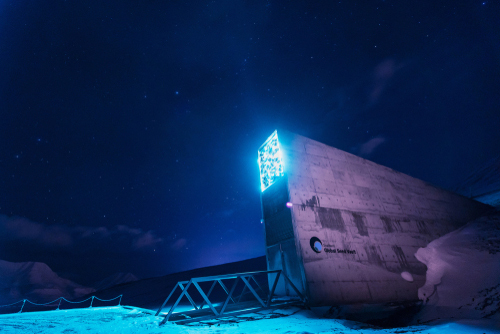 Up until then, the Global Seed Vault had proven to be the perfect place for storing its grand collection. Located 800 miles within the Arctic Circle in Svalbard, Norway, one would think that melting ice would be low on the list of worries – and it was. Unfortunately, the permafrost that had previously encapsulated the vault began to melt and left thousands of years of agriculture in limbo. Thankfully for the vault and any future generations who may need its services, the water did not reach any of the seed collection. It did, however, serve as a fair warning. Heeding the warning, the Norwegian government has allocated $10 million to buffer the vault’s defenses against mounting challenges, climate-driven or otherwise. With new emergency power units, refrigeration systems and a brand new concrete access tunnel, scientists hope to avoid any further scares. Agriculture is expected to be hit increasingly hard by the stressors caused by climatic changes and food security will play an important role in maintaining the safety, health and cohesion of billions of people worldwide. It is time to be thankful for the people keeping their eyes on future generations. Without them we would not have some of the things we take for granted. For better or for worse, a few seeds may be all it takes to make or break our species and, like other vaults around the world, the Global Seed Vault is securing a better future for all of us. Click Here To Browse Our Organic & Heirloom Seed Catalog To Start Your Winter Garden Today! 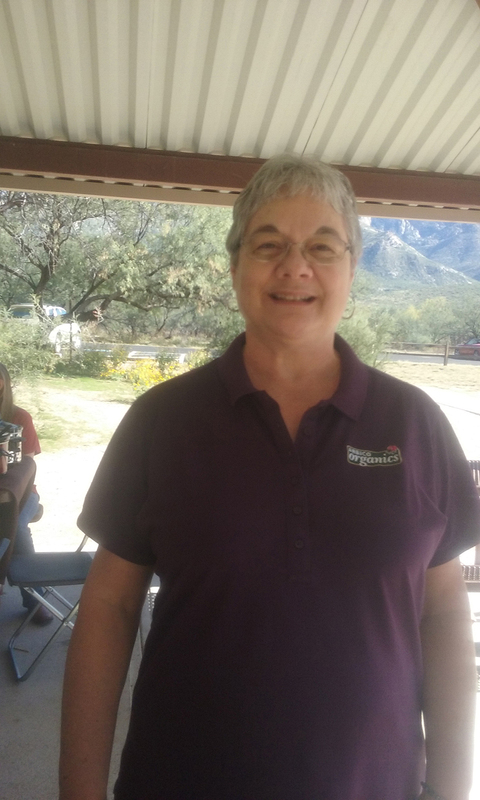 Earlier this month, we had our annual ARBICO Thanksgiving potluck in spectacular Catalina State Park near our office here in Oro Valley, Arizona. The weather was absolutely beautiful and we feasted on a medley of delicious dishes. 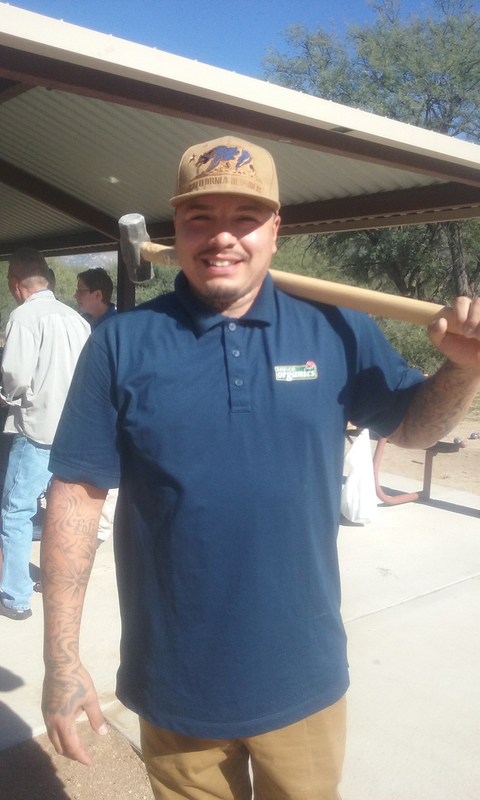 There was also horseshoes and music – pretty much all the necessary ingredients for a successful picnic. 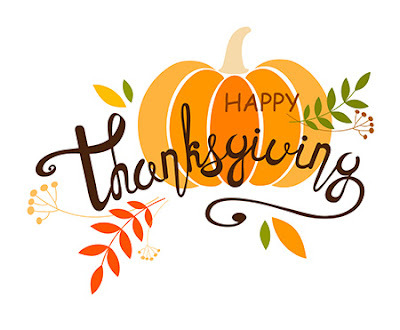 Becky: "Mashed potatoes and gravy"
Here’s wishing you memorable food and all the family and friends you can handle. Hemp arrived on this continent with the first ships to troll its shores. When Columbus and his crew set sail in 1492, it was in ships fitted with sails and ropes made from hemp. If you are one of the many people that believe the Vikings got here first, there is evidence that they also used hemp for cloth and cordage. The plant was introduced into Mexico by Pedro Cuadrado, a Spanish Conquistador shortly after the conquest in the early 1500s. 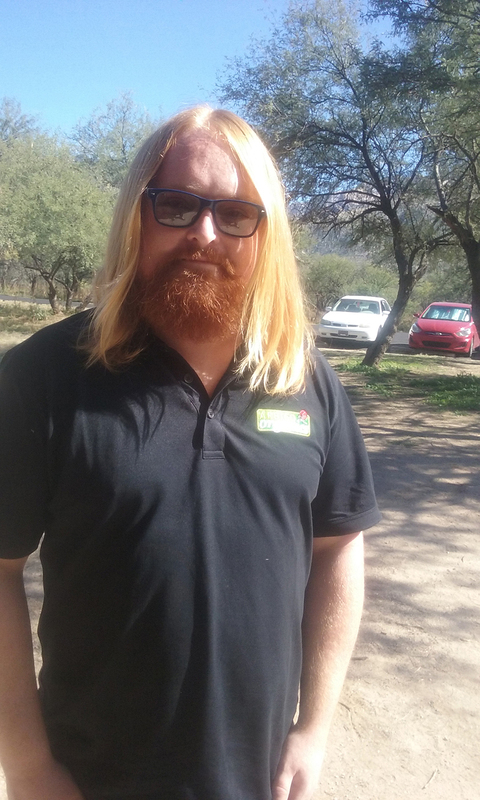 He brought the seeds to begin a business venture that was relatively short-lived, but more on that later. Hemp is considered to be one of the oldest domesticated crop in the world. There is evidence that it has been used since 8,000 BCE. 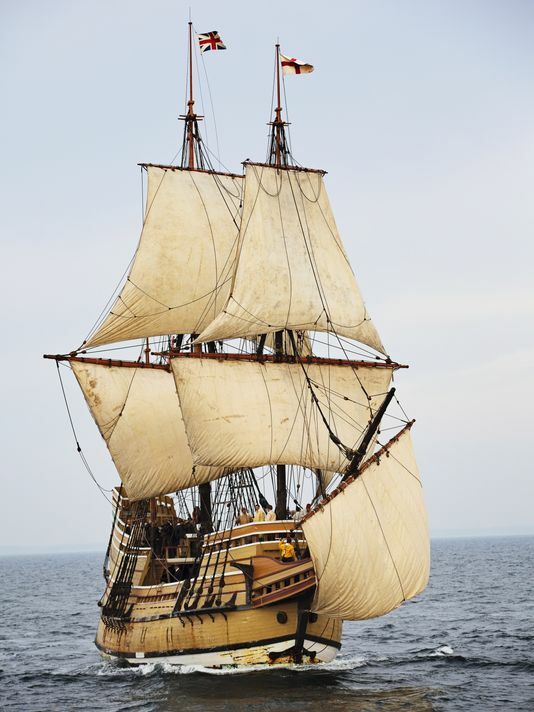 By the time the pilgrims arrived on their hemp-outfitted Mayflower in 1620 (see a fun video here), the plant was an unquestioned and important staple in their world. From the beginning of the colonies, the English decreed that the colonists grow hemp. 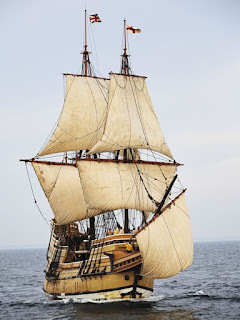 The reason was simple: the British Navy was busy empire-building and there was a constant need for rigging and sails, a need that they were having a hard time keeping up with. 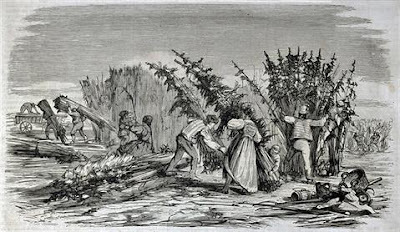 The colonists never quite managed to supply the hoped-for hemp bounty, however, as they soon found that they needed all they could grow. They not only made cloth and ropes, they extracted the oil from seeds and burned it in lamps and bartered with all parts of the plant. Meanwhile, in Jamestown, Virginia, colonists had been struggling to survive since 1607. By 1619, they felt established enough to set down some laws. Included in these was the mandate that all settlers grow hemp, “For hemp also, both English and Indian, and for English flax and aniseeds, we do require and enjoin all householders of this colony, that have any of those seeds, to make trial thereof the next season.” This was America’s first, but by no means last, cannabis-related legislation. Throughout most of the next 300 years, hemp maintained its position as a widely-used and valuable commodity. It was legal tender in the colonies of Pennsylvania, Virginia and Maryland and, for more than 150 years, taxes could be paid in hemp. Thomas Jefferson, George Washington and John Adams all grew industrial hemp. 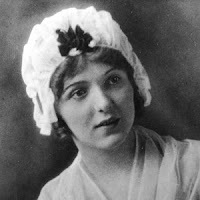 It is believed that Betsy Ross made the first U.S. flag with hemp cloth and scholars know that Benjamin Franklin used hemp string when he did his famous lightning experiment. Hemp was held in high esteem in our country until the beginning of the 20th century, when a whispering campaign was begun against it. To explain, let’s go back to Pedro Cuadrado: his hemp seeds had created a lucrative business growing industrial hemp, but by 1550 the Spanish government restricted his endeavor. Apparently, the native people of the region had discovered a more eye-opening use for it than making rope and this disturbed the authorities (a theme that continues to plague the hemp plant). Despite the restrictions, cannabis from the hemp plant maintained its following in Mexico. When refugees began arriving as a result of the Mexican Revolution (1910-20), they brought their herb with them and introduced it into the American zeitgeist. 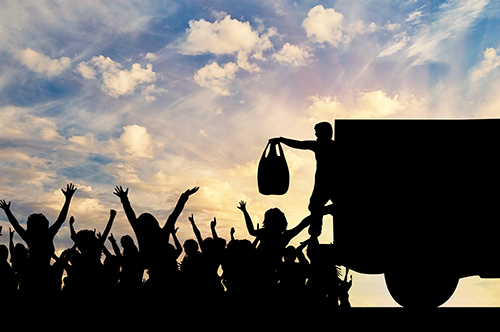 With the onset of the Great Depression and its massive job losses, resentment towards Mexican migrant workers grew in many areas. They were seen as taking jobs that American workers badly needed (sound familiar?). 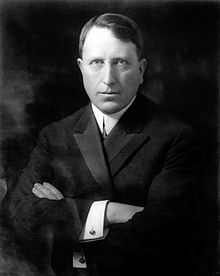 This is when the incredibly rich and powerful William Randolph Hearst entered the picture. He was unabashed in his disdain for Mexicans, once saying, “I really don’t see what is to prevent us from owning all Mexico and running it to suit ourselves.” Hearst used his papers to stoke the anti-Mexican fervor and to connect it to hemp by portraying them as drug-crazed from cannabis. Despite being a complete racist, his motivation for targeting hemp was probably to protect his timber holdings and eliminate hemp paper, which he was successful at doing. The final nail in the hemp coffin was the appointment of Harry Anslinger in 1930 as the nation’s first Drug Czar. By most accounts, he was as reprehensible a racist as Hearst and a rabid evangelical to boot. He was all in on Prohibition and, when that was repealed he turned his to attention to other stimulants. His rhetoric was all about the dangers of minorities on drugs and it played well into the Depression narrative. Unfortunately, Anslinger stayed in the U.S. Treasury Department Bureau of Narcotics into the 1960’s and was able to firmly nail down anti-cannabis/hemp laws. The pendulum is definitely swinging back in hemp’s favor these days. In time, the criminalization of this useful plant will undoubtedly be seen as what it was: fear-mongering in order to satisfy special interests. If we could only get rid of all the sensationalized reporting and fabricated hate we would all be better off.